Hi, LordJake and I currently maintain the Top f2p List on Runehead. For those who do not know what I'm talking about, the website is located Here. Also, If you would like to compare stats from the begining of Summer 2008, This list has the stats for the month of May. To my knowledge it is completely safe. Many clans and groups also have member lists there as well. If you are uncomfortable going there, here is the thumbnail of the most current list, sadly it is too long to just post the picture. This list is based only on skill total. Combat will not be taken into consideration. Individual stats will not be taken into consideration. This list is not related to the tip.it high score list. Anyone who was a member for any amount of time is not eligible for the list. 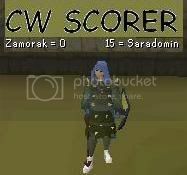 If you see someone/if you are that someone, who is a potential Top 200 f2per please post the RSN here or pm Lordjake or me. I can still be reached at the Runehead Forums under Aura as well. I answer messages on the day I update so that I can keep track of who I replied back to. Please do not send me multiple messages unless a week has passed since you sent it. Thank you. The list will be updated once a week to the best of our ability. I'll be there hopefully soon. I wish I would of stayed f2p. I'd proably be on that list right about now. I just need 450 more levels to be on that list . Lol I've met T V B before, too bad I didn't know he was one of the top ftp players..
My target to come member of f2p top200 is end of july. Today I trying to become better person than yesterday. Cool, just 415 levels and I'll be on that list.